Picked up a R.C.E SD cap today at a gun show in Montreal for what I thought was a good price. This is the first Sd cap in my collection so I thought I would share. Nice. Is the badge an officer's service dress badge? Thats a good question I'm not sure, I'm not a badge expert by any means. I'll take some closer photos and post them. ARe you kidding me, the Gun show in Longauil was yesterday?? Yes it was, and it was packed with tables and standing room only. Much better than the Sept show I went to. Still don't worry the next one is in march and there will be another one in may. 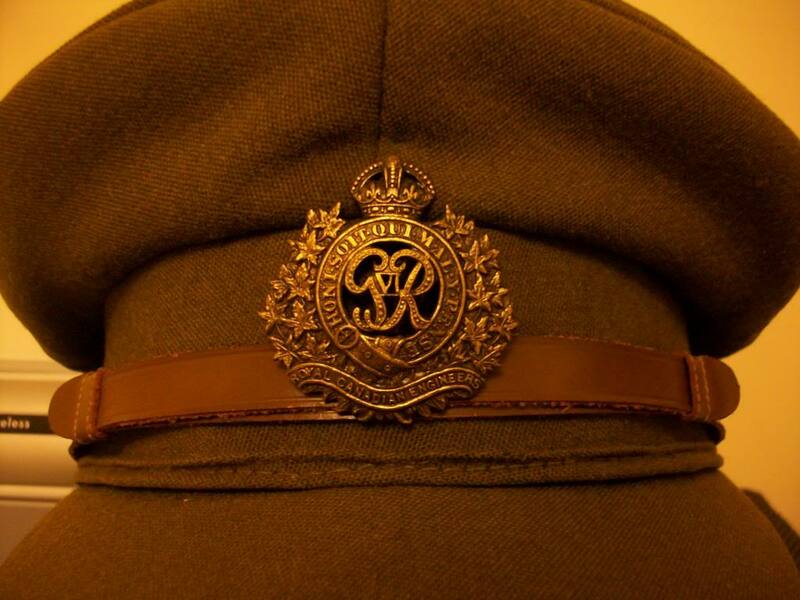 Here's a closer pic of the cap badge. Looks like an osd. Can you see if the back is smooth? OSD? Yes the back is smooth and it appears to use a strange type of slider rather then the loops and pin type fastner. 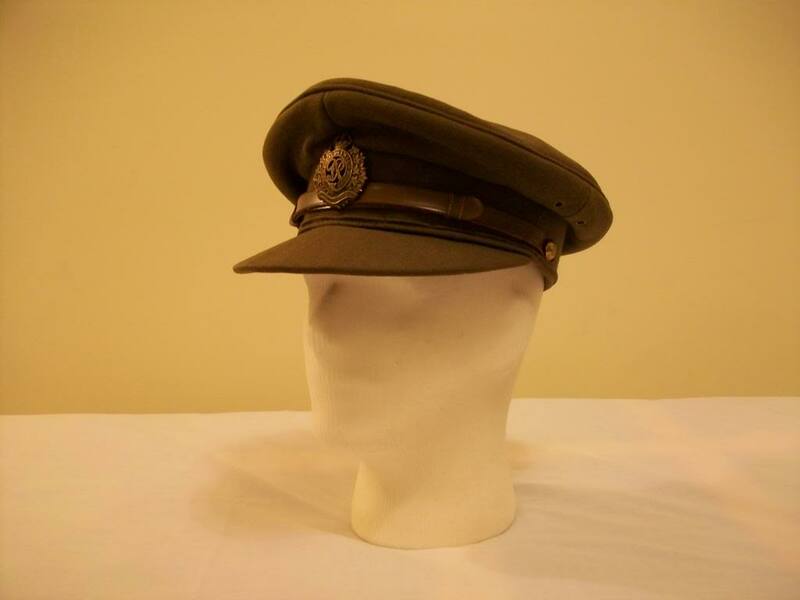 Officers Service Dress is abbreviated osd / OSD. The osd badges were smooth backed, darkened brown finish, usually made in bronze. Interesting, the cap badge is bronze and dose have a browninsh tinge, it also has a smooth back. This is one of the things i love about this hobby, the learning never stops.